Spark’s recently completed Sales Gallery opened to prospective buyers. 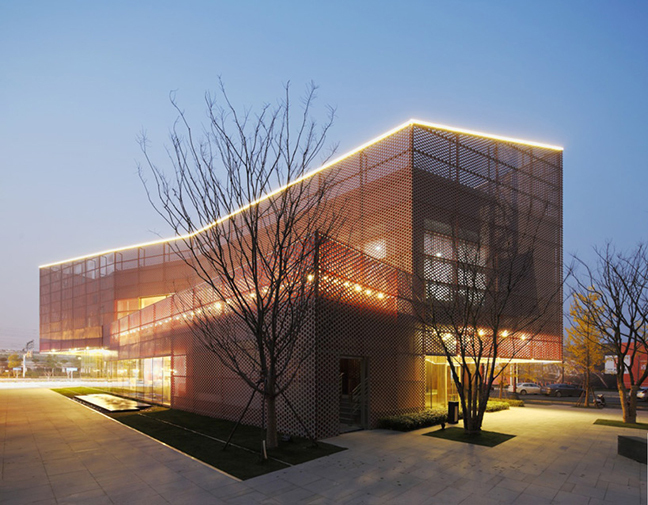 Located adjacent to Nanjing South Railway Station the two storey building showcases the broad spectrum of residential and commercial space available for lease and purchase at Vanke’s SPARK designed ambitious mixed use development. Conceived as an abstracted reflection of railway track geometry the structure is shaped by functional and conceptual considerations that importantly take advantage of the buildings location next to the busy railway station. Folded façade surfaces and lines of light compose a continuum of fluent and dynamic space that mirrors the dynamism of the adjacent crossing train tracks. 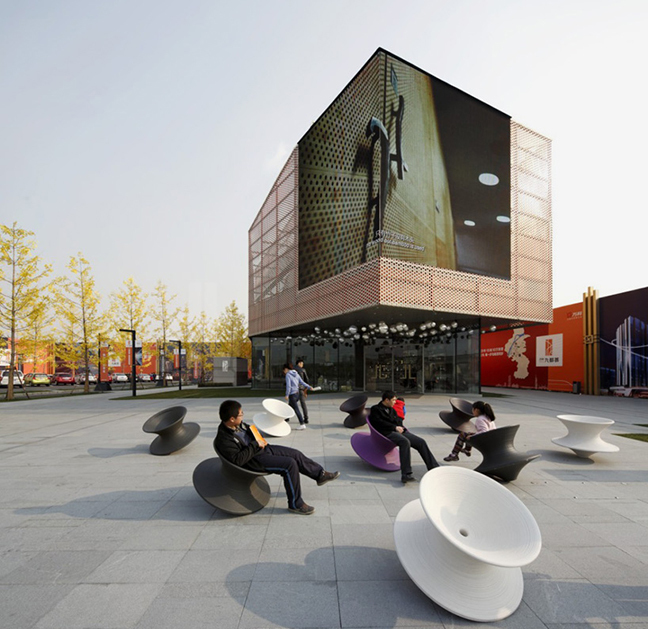 A large LED display faces the key location vantage points located deliberately to be seen by passing vehicle and railway traffic. 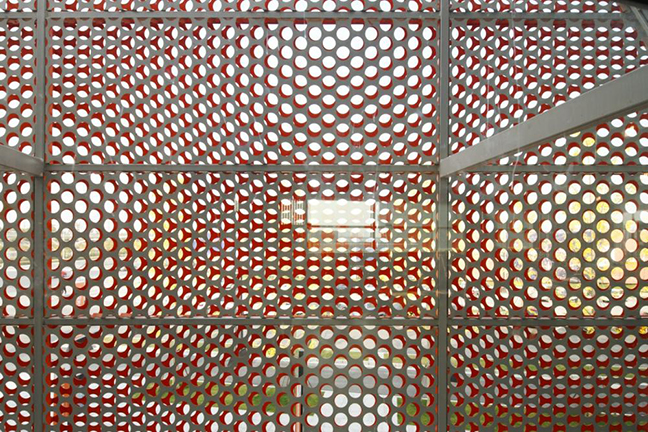 The exterior façade formed from two skins of perforated aluminium has a subtle Moiré surface a markedly manufactured finish which is in contradiction to the natural finishes of the interior where the folded and perforated surfaces and organic finishes visibly converge. The sales gallery is testament to Vanke’s constant strive to redefine the levels of quality and experience afforded to the visitor which is redolent of the characteristics of the new mixed use city quarter designed by Spark which is currently under construction.